Medical Entrance Exams in India 2017 – 2018 : Candidates, who are from Science stream, can make their career in Medical Field easily. Career in the medical field is the rewarding profession for Science students. Medical Field is very demanding filed and those candidates, who want to make their career in Medical Filed, may appear in Medical Entrance Exams. 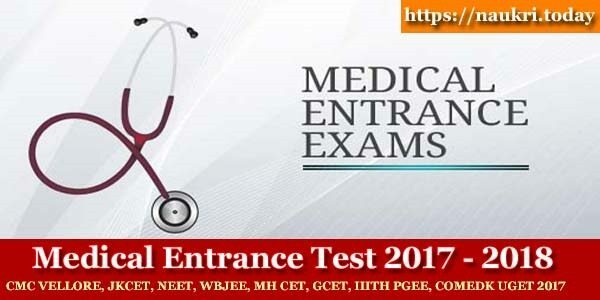 A list of Medical Entrance Test 2017 – 2018 is given here. To be the part of Medical field, candidates are required to take admission in to the medical course. Various State Level & medical entrance examinations are conducted for providing admission to these courses.Here, in this page we have listed all the Medical Entrance Exams of State Level and National Level for session 2017 – 2018. Entrance Exam Name : Medical Entrance Exams in India. Examination Authority : Medical Council of India (MCI) & National Level Medical Institutions. Why Medical Entrance Test ? : Admission To Medical Courses. Name of Courses : BDS, MD, MS, MDS, PG Courses. Medical Entrance Exams in India are directed by All India basis as well as state level, to provides admission to Medical Courses. The Medical Council of India (MCI) is responsible to conduct medical entrance examinations in India. At while, various of the National Level Medical institutions are also conducts their own entrance exams for Medical admission. Maximum Government Medical Colleges provides admission only to Indian Nationals on behalf of All India Medical Entrance Exams. Who Is MCI (Medical Council Of India) ? The Medical Council of India (MCI) is a statutory body with the responsibility of establishing and maintaining high standards of medical education and recognition of medical qualifications in India. It registers doctors to practice in India, in order to protect and promote the health and safety of the public by ensuring proper standards in the practice of medicine. All UG / PG Medical Entrance Exams in India for admission to BAMS, MS, BHMS, MD courses. Medical Filed is provides booming career opportunities to the students. Candidates are required to do smart way preparation for Medical Entrance Test 2017 – 2018 to crack it easily. All those candidates, who want to make their career in Medical Filed, want to update with the all latest updates of medical exams. 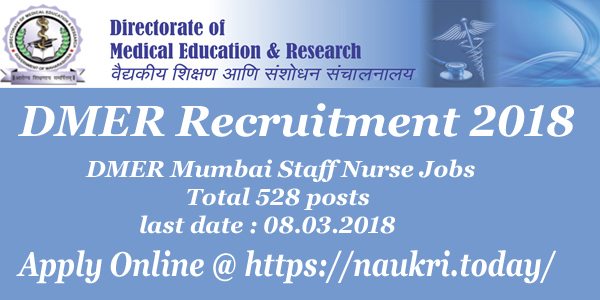 Candidates, who want to get detail about any Medical Entrance Exam across India, can read latest articles on Naukri.Today and can also write us in comment box. Interested candidates may check the detail about medical entrance exam 2017 application form, notification, dates for apply, exam syllabus, admit card detail, result, cut off, counseling and more. Conclusion : Medical Entrance Exams / Medical Entrance Test 2017 – 2018 complete detail are mentioned above. Candidate can check here detail about medical entrance exams in India 2017-18, UG Medical Entrance Exams, All India PG Medical Entrance Examination, National Level Competitive Medical Entrance Exams in India and State Level Competitive Medical Entrance Test.